The hotel provides 24 well-furnished rooms with attached bath running hot & cold showers.The rooms are spacious with big windows with a view of Khangri and Himalayan Mountains.Hotel facilities includes features like Multi Cuisine Restaurant FREE WiFi internet Car parking doctor on call, travel desk etc. Room Service, Doctor on Call, Travel Counter, Backup Generator, Major Credit Card Accepted, Complimentary Newspapers in Lobby, Currency Exchange, Front Desk, Laundry Facilities, Taxi Service. Shower Caps, Telephone, H/C Water, Cable/Satellite TV, Luggage Rack, Complimentary Newspaper, Attached Bathroom, Wakeup Calls, Dustbins, Air Conditioning Room. 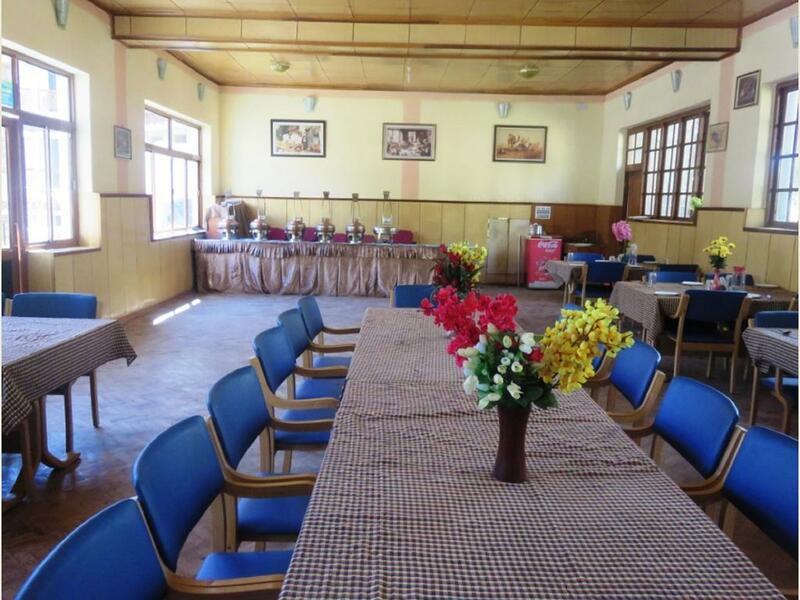 Room Service, Restaurant, Parking, Laundry Facilities, Doctor on Call, Banquet Facilities. User reviews for "Abu Palace Hotel Leh"